Neil’s socks are finished. I had planned to put them in the mail this week, but the time got away from me. 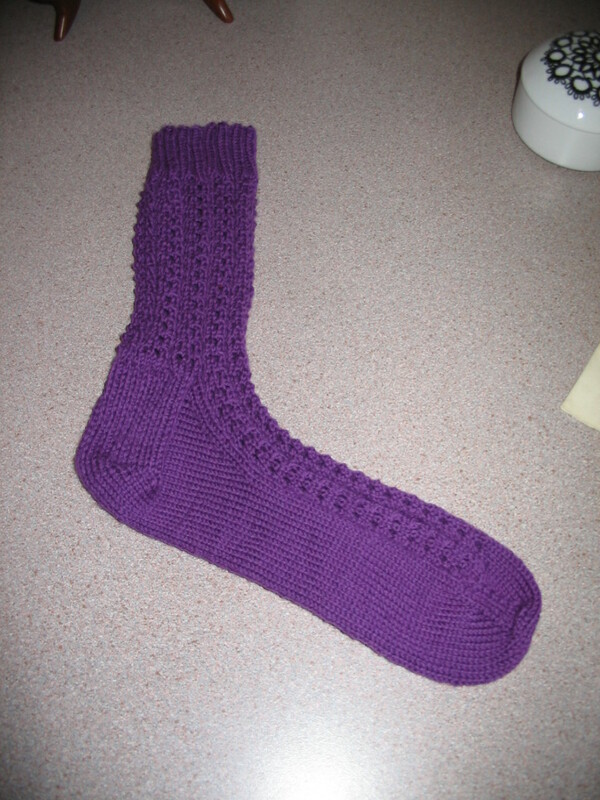 I started Rebecca’s purple socks Sunday afternoon and finished the first one last night. I decided not to try knitting two at once. I’m doing a pretty eyelet pattern and figured that was enough for me to concentrate on. So Rebecca, your second sock is started and I will send all the socks to you when they are done. I really like this pattern and might have to make a pair for myself for a change! I plan to wind bobbins today for a new bobbin lace pattern. Which one I decide on will be determined by the number of empty bobbins I have. 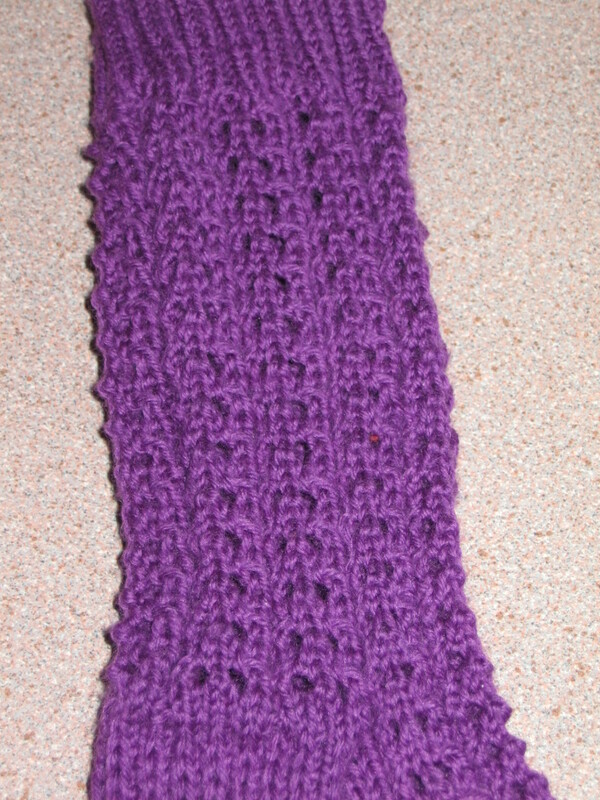 I have an itch to get back to my ‘s Gravenmoerse lace.